Carefully consider shipping time frames! The anticipated date you will receive your order is determined by a number of elements. Please consider carefully. Our office hours are Monday thru Friday 9 am -3 pm Pacific Standard Time (PST). We are here earlier and later, but will be in the shop and unavailable. While we work hard to ship your order within 24 hours, a variety of issues can impact that such as supply deliveries, weather, Internet connectivity and the general human condition. As a general rule, we ship within 72 hours, or three business days. 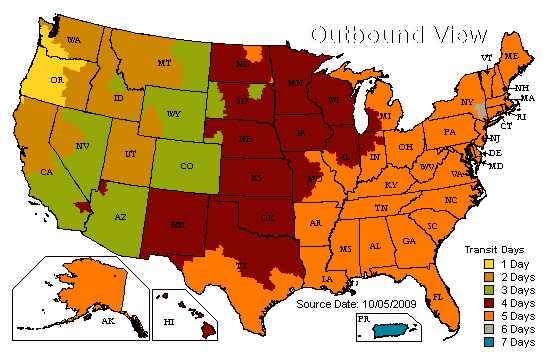 And, during busy shipping seasons such as the holidays, UPS may require more time in transit than normal. If you wish to visit our physical location in Turner, Oregon to pick up your order, you may do so! Simply call or place your order online, and let us know when you will arrive. Please note hours for order pickup are 9am - 3pm Monday - Friday. You must allow at least a one hour lead time for us to prepare your order if placed mid-day. Boxes containing Bunny Abode House Rabbit Condos are large, and they are heavy. This results in some very expensive shipping costs when the destination is outside of the continental United States or Canada. However, we have shipped many condos and supplies to Australia, England, Singapore, Hong Kong and elsewhere and will be glad to do so for you. We will be glad to ship your order to you outside of the continental United States and Canada by sending your order to a US based freight forwarding company of your choice. Please contact us if you wish to order for delivery outside of the US or Canada. The customer is responsible for all shipping charges, and all import fees and duties. Shipping charges and all import fees and duties are NOT refundable. PLEASE contact your customs agency if you need an estimation of taxes and duties that your government will charge you for importing items. Canadian customers: All shipments to Canada are likely to attract customs duty. Any such duties and taxes are charged once the shipment has reached you and these charges must be paid by the recipient of the shipment. Unfortunately, we have no control over these charges. If you have any questions related to customs charges, you are advised to contact your local customs office. If possible, you may want to consider shipping the order to a friend on the US side of the border, then picking the item up from them in order to reduce costs (this tip was suggested by a customer). Leith Petwerks Inc. takes the personal privacy and security of our customers very seriously. We do not and will never sell or share your personal information (including but not limited to address, phone number, buying habits or e-mail address) with any other individual, commercial or nonprofit party. In addition, all sections of our web site that request personal information are provided via Secure Socket Layer (SSL), a technology insuring that the information you submit is safe from prying eyes. At no time will your credit card information be stored, transmitted or available in an unencrypted, unsecured format. Ordering online from us is MORE secure than using your telephone to order something (especially if you use a cordless phone).